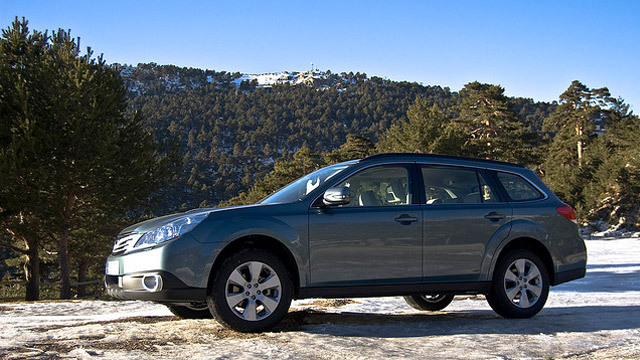 Subaru cars are loved by their owners across the country for their reliability, ruggedness, sure-footedness, and safety. And for those who live or work in or near Downtown Denver, Highland Park, Evergreen, or Parker, the professional auto mechanics at Mancinelli’s Auto Repair Center have the highest quality tooling, equipment diagnostics, and service training to handle any need your Subaru has. Mancinelli’s Auto Repair Center is a family-run, state-of-the-art auto repair business, and we want our customers to feel at home and part of our extended family whenever they visit. Our ASE-Certified auto mechanics have the proven expertise and four-season experience to care for your Subaru year round. Also, Mancinelli’s Auto Repair Center is so sure of the auto repair services it offers; it backs its work with our 5-year/50,000-mile nationwide warranty. That’s performance, and certainty motorists in Downtown Denver know they can count on. “I've used this shop for a few years now. I use their shuttle to get to work when they are working on my car, which is great. My favorite part is that they are good about telling me what my car might need in the future so I can budget. I've never felt pressured into getting work done, instead they are good about giving me options and I feel being pretty honest about what's urgent.” -- Gretchen G.
When your Subaru vehicle needs a minor service tweak, exceptional maintenance service, or more serious auto repair, Mancinelli's Auto Repair Center is committed to delivering the expert customer experience service you expect and deserve. Please call us, schedule an appointment, or visit us. We’re located at 375 Logan Street, Denver, CO 80203, and are open Monday to Friday, from 7:00 a.m. - 5:00 p.m. Come visit us today and see why new clients become customers for life.